Male Marsh Wrens will build several--as many fifteen--dome shaped shells in the reeds to woo females. He'll sing from high in the cattails to attract a female to select a bare frame in his territory. Once selected, she will collect material like cattail down, feathers, and grass to build the nest where she'll lay her eggs. Learn more. 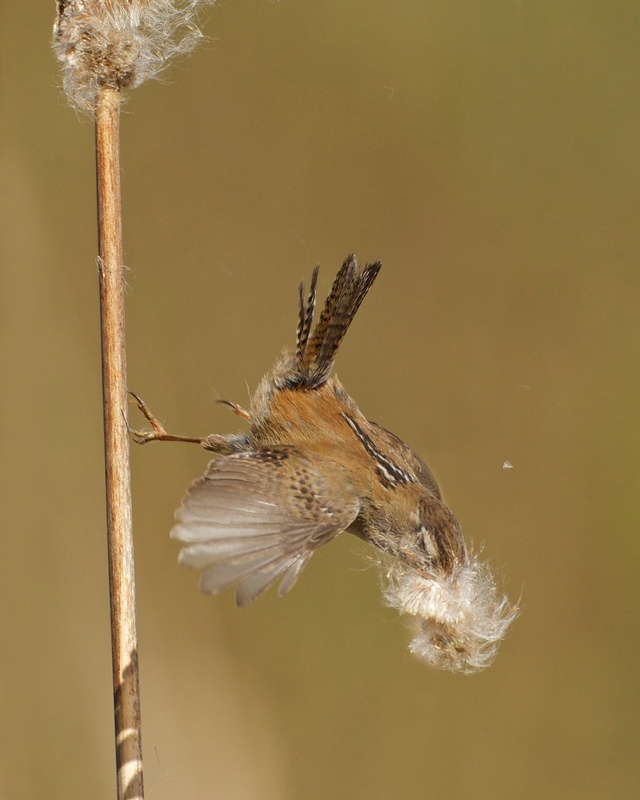 Listen to other BirdNote shows about Marsh Wrens.